Matt Skelton is certainly talking a good fight as he prepares to take on the golden boy of British boxing Anthony Joshua in Liverpool. 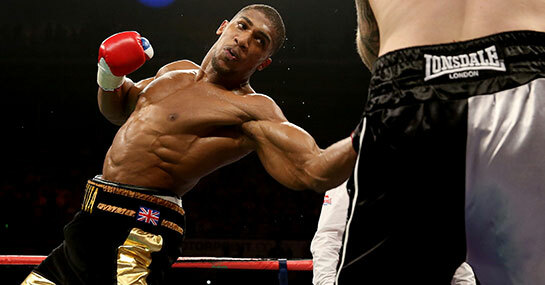 The 47-year-old believes the un-tested Joshua is set to go the way of Audley Harrison as the former world title challenger looks to inflict the first defeat of the Olympic gold medallist’s career. The Bedford fighter is certainly the toughest test of AJ’s short career so far but it’s hard to see anything but the Joshua bandwagon rolling on. The former Team GB star is a massive favourite for victory at 1/66 with Ladbrokes with Skelton the 16/1 outsider, while the draw is available at 33/1. Although not a working man’s price, our first tip could be the banker of the weekend. None of Joshua’s opponents have lasted more than six minutes in the ring with him and while Skelton is a tough man his age is pushing close to 50-years-old. He is also on a run of two consecutive defeats with David Price stopping the former British champion inside two rounds. With Joshua’s phenomenal punching power it would be surprise to see this one reach the third round..
Skelton is an experienced fighter with 36 contests to his name and he will be trying all the tricks in the book to put Joshua off his game. While this could work for a round or two it will only be a matter of time before Joshua works out a way to land. And with his power he could land to devastating effect against a fighter who has been KO’d four times in his career.